As event planners, we love our clients and our clients love us. 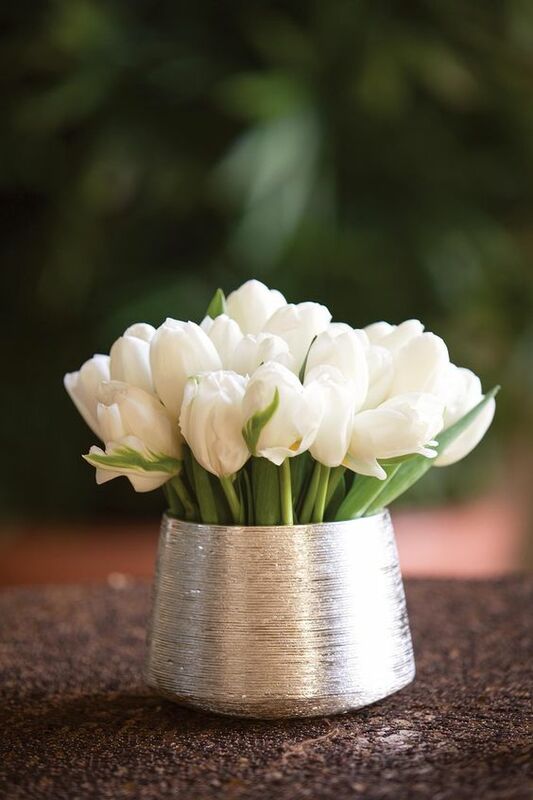 One of the things we love the most is when our clients want something new, fresh, different, and best of all – unexpected. No, this is not the type of a runway for a fashion show, although Event Manager, Cindy, definitely made it a point to “test it out” during the load in stage of our past event. 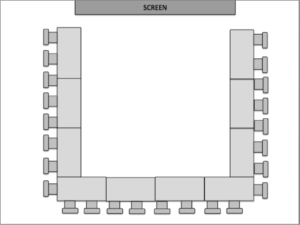 This layout is ideal for attendee engagement. As an “in their face” type of setup, this is one of East of Ellie’s go-tos for internal meetings when the client is looking to ditch the same old, same old. Not only do attendees have a clear view of the presenter at all times, but the setup also gives the presenters the opportunity to move around and make a connection with the audience, rather than just standing on a singular stage. Just make sure your stage doesn’t squeak. Pass the WD-40 please. If the purpose of your meeting to truly connect with your audience with an interactive conversation in a casual setting, this option may be best. One client even took the engagement a step further and literally sat on the stage to truly have a back and forth conversation with her audience. This was a great way to boost engagement amongst attendees because they felt like they were out to lunch rather than at a lecture. 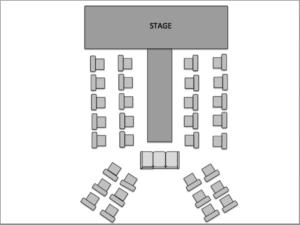 This layout requires setting up a series of conference tables in the shape of a U with chairs on the outside. It can be used on large or a small scale, but it works most effectively for a small audience. This setup allows the presenter to move about the open space in the middle and engage with participants. The U-shape layout also gives attendees the opportunity to engage with each other and have a discussion. And who doesn’t love a table in front of them for ample note-taking? Wondering what clients have utilized these floor plans? See them here: eastofellie.com/clients. 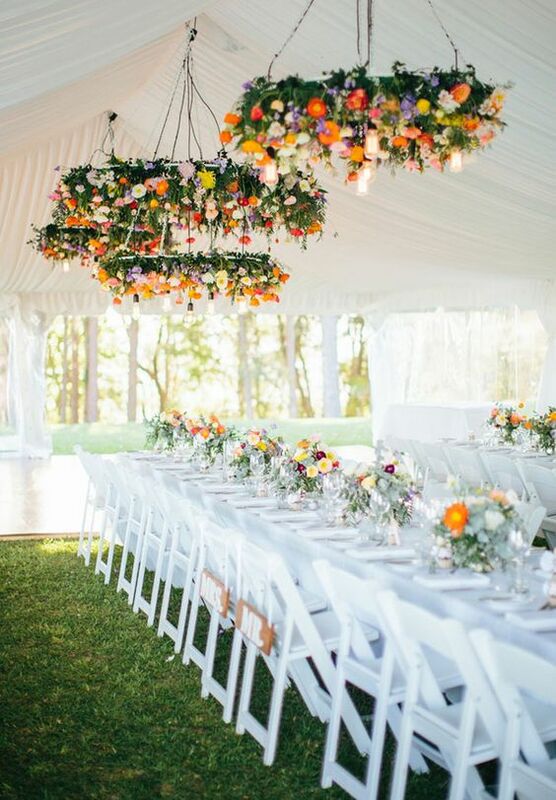 Looking for event planners that have the experience setting the stage? Contact us today and let’s get planning! rsvp@eastofellie.com. If you work in any type of agency working with clients on a regular basis, you know that clients are made like snowflakes, no two are exactly alike. 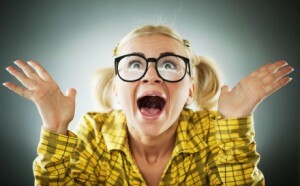 This client gets EXCITED about the event, no, really excited. When we whip up a presentation of proposed vendors or work with our graphic designer to create 3-D rendering of the space, their eyes just light up. This is one of our favorite types of clients, it usually means they don’t get exposed to this fun stuff often – which can also lead to a downfall – distraction. Like when you’re presenting catering options on slide 2 but they’re googly eyed over the invitation mock-ups on slide 8. When you need a decision on one aspect – less is more when showing them what’s going on. Keep them excited, absolutely, but also focused on your main objectives! All clients have a bit of the “last minute” personality within, some just have a bigger presence of it than others. Let’s face it, as outside agency event planners, we are not apart of our client’s daily operations. So, it’s not anyone’s fault when the client may have to push our meetings or focus on other projects to keep afloat. This often leads to the few weeks leading up to the event as pure insanity. Rushing to get last minute requests fulfilled and working with last minute design edits to collateral that still needs to be printed. The truth is, there’s really no way to avoid the last minute client, and frankly, we totally plan in advance to accommodate these last minute changes. The best you can do is prepare everything you can in advance, keep your personal calendar wide open, because last minute requests WILL arise, and you’ll need all the time you can get. This may seem similar to the shiny things client, but infact they are actually very different. This client isn’t trying to find the perfect concept for a part of their event and then pulling the trigger, this client has a very hard time making the decision. This is totally fine, until it gets closer and closer to the event. They are still up in brainstorming land or need to consult with someone else on the team, but time is running out and you are starting to get worried. With this client, be extremely clear with deadlines and explain you don’t want them to lose the opportunity with a vendor or have to pay out the nose for last minute rush fees. Perhaps this client has planned a few events in the past, or deems themselves as a marketing wiz – and that may all well be true! 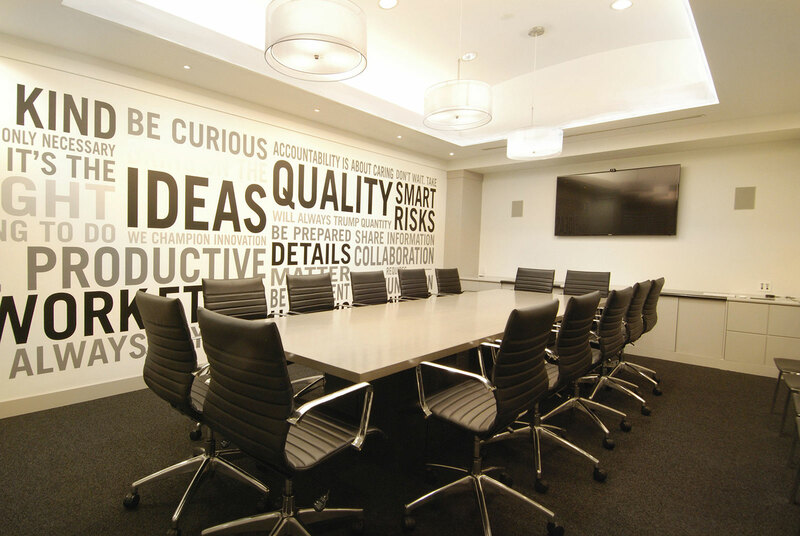 Show up to your meeting with your event objectives clearly outlined and your definition of success written in black and white? We are already in love with you. But it’s hard enough as outsiders to come into a company and figure out the perfect balance between not overstepping and integrating our methods so that we can get the job done. The best thing to do here? Over communicate. Ask for their opinions and make them feel as involved as they would like to be at all times. It’s hard for clients who want to do the planning themselves to second guess the process when they are knee deep in it. At the end of the day our clients are our favorite people and we couldn’t do what we do without them. Looking for an event team that understands the objectives of your event and can clearly outline the planning process for you? Look no further. Email rsvp@eastofellie.com and let’s get planning. 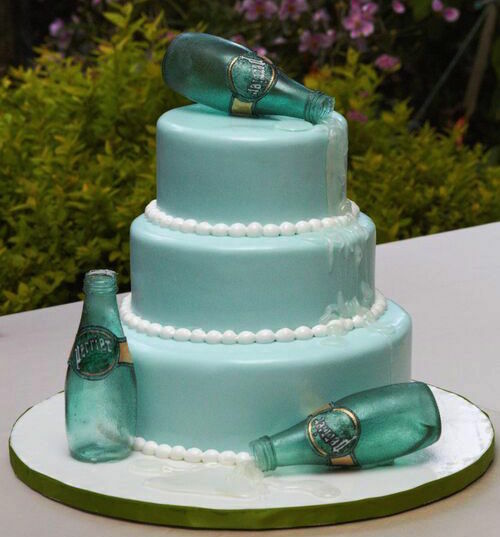 Recently, there’s been a lot of talk in the events world about whether event planners are born or made. In our minds, this is a no brainer. 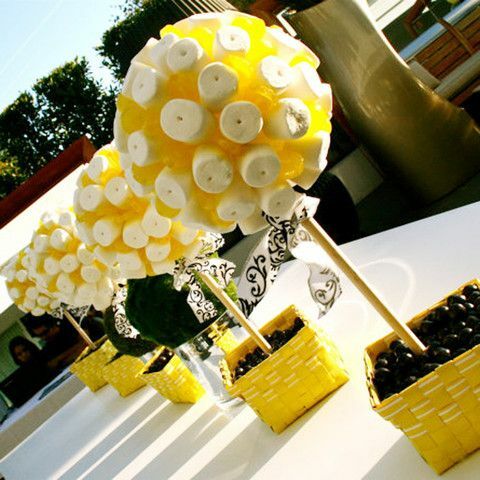 We believe event planners are born, no question about it. 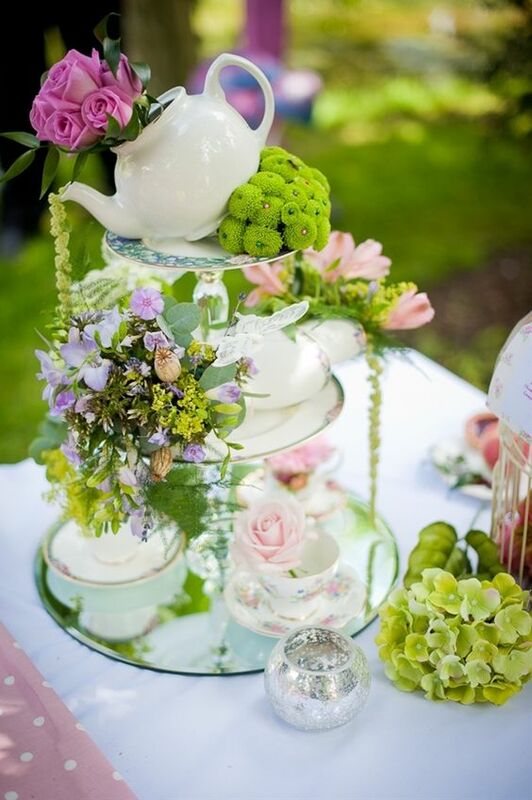 Being an event planner takes a certain type of personality, not a skill set. You have to be motivated, innovative, strong under pressure, and quick to think on your feet – all traits that are not learned. At industry conferences, there are always opportunities to meet new people. Clients, friends, or future business partners- the networking opportunities are endless. 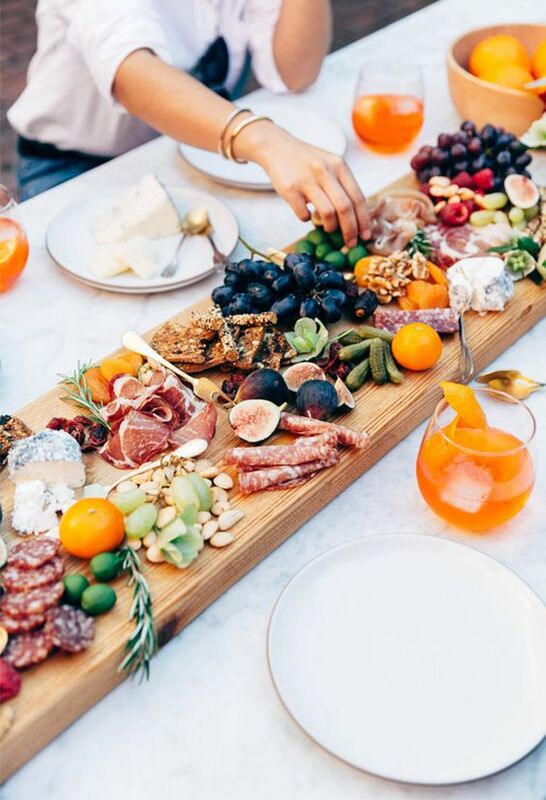 Whether you are conversing over the lunch table or at a formalized networking session, take advantage of your chance to make a new connection. Our MeetingMatch App has also made this process a lot less awkward! Conferences give you the opportunity to promote your brand. You may be pitching your story while networking, handing out business cards, or speaking at one of the sessions about your experiences. Whatever it is, any publicity for your brand is great – spread the word! The quickest way to learn about new techniques and trends in the industry is at conferences. Because the rooms are filled with influential industry professionals who are leading the workshops and sessions, you are bound to learn something new that will help better your career and offer your clients cutting-edge ideas. Another perk to attending these conferences is that you can learn about new technology that is changing the industry, and usually, you can demo them in the expo. See what will make a difference in your daily life as a event planner firsthand at industry expos (not to mention all the free swag you get). Whether you are sitting in on a social media optimization session or listening to a keynote speaker, there is usually the opportunity to share your ideas and get feedback from these influencers. It is like having your own personal mentor on the spot, who also happens to have a huge follower base and tons of industry experience. Although event planners have a certain type of personality that is inherent, there is always room for improvement and potential to learn. Industry conferences and expos are a great way to do this, while having some fun! Looking for a planner that stays updated on the most relevant industry trends? Contact us today and let’s get planning! Everyone always hears about what an intern learns from the CEO (or any other manager in the company) but not many people discuss what the interns can actually teach the ones who have been in the biz for as long as they can remember. Sometimes, interns never get the chance to even sit in the same room as the CEO, let alone interact with them. But for us and our fellow small businesses, it is very possible that interns interact and work with the CEO on a regular basis. At East of Ellie, were all about learning through all stages in our careers, so we sat down with our interns and discussed their perspectives on the industry, and what they thought would be useful for Emily, our very own CEO, to look through the lens from their point of view. Collaboration is key in a creative industry, especially when you have fresh talent (like interns) who don’t have much corporate experience, if any. Always make time to sit down and collaborate with your team on a regular basis because its is a win-win situation. Whether it be brainstorming or status updates, including the whole team can help your small business come up with more ideas, generate better content, and grow your reach. The more perspectives, the more opportunities there are to learn for everyone- not just the interns. One of the most important aspects to any job is being happy where you are, and company culture is a huge contributor. One of the best parts of East of Ellie is the people who make up the company- they are enthusiastic, happy, and excited about their job. Those emotions are easily noticeable and definitely contagious in the office. Enthusiasm is one of the most important things to instill in your employees. If you aren’t excited about your job, how are you going to inspire your employees to be? Lead by example; always stay enthusiastic and positive even when times get tough because it means so much to the people around you. Interns always hear it is important to ask questions throughout the job, but that isn’t rocket science if you are trying to learn. Many internships require their interns to be on the phone with other businesses and clients, and some may not know how to efficiently handle those calls. Although it may seem excessive, managers should walk interns through how to properly handle calls in order to get the information they are seeking as quickly as possible. Help us help you! We appreciate the real life opportunities instead of just running errands, but please keep in mind, we have not been doing this for years. 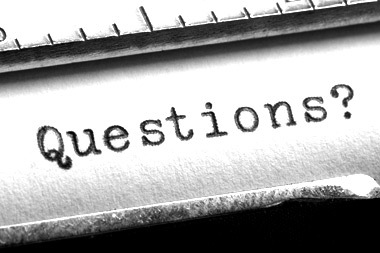 Another tip is for managers/CEOs is to recommend questions for the interns to ask in similar situations that they have found effective in previous situations. Overall, learning is a two way street. Interns learn from higher ups in the company, and most higher ups can learn something from the interns. It can be valuable to listen to interns feedback, because their suggestions may help your company get stronger and your brand develop. Thanks to sopinit.com, Artful Thinkers, and chrissurratt.com for the photos. Do Events fit into your Marketing Strategy? You may have heard about the Lilly for Target Launch that didn’t necessarily run as expected on multiple levels. Target’s website crashed in the early hours of the AM, lines formed outside of Target locations all around the country, resulting in the items selling out within minutes leaving thousands disappointed they were unable to get their hands on some preppy-patterned merchandise. The hype for this launch had been building up for weeks with commercials, preview look-books featured on the homepage of Target.com, social media buzz, word of mouth all over the country, and of course, the Lilly For Target Launch Event. With the overwhelming outcome of the launch, it’s clear that Lilly For Target may not have needed all of this publicity for a successful introduction after all. Lilly For Target has what other brands would die for, it completely speaks for itself. Two established brands coming together to offer quality fashionable clothing at affordable prices for an exclusive amount of time is a no-brainer recipe for success. 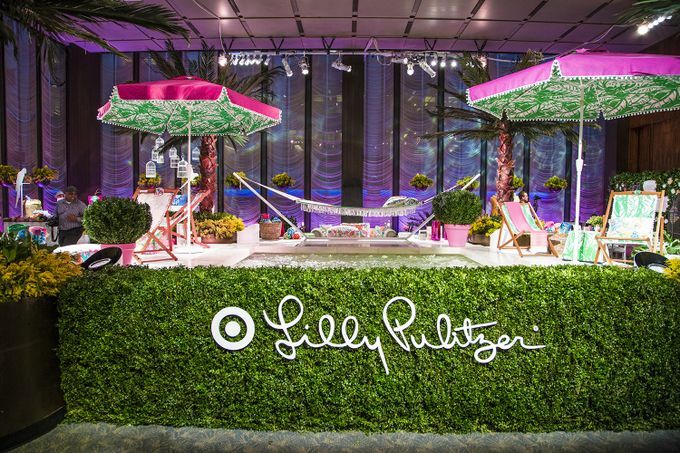 So, was the Lilly for Target Launch Event a smart move? Sure, budgeting may not have been too much of an issue for either company, but it serves as a model to other organizations that an event should be utilized as a long term marketing strategy, not part of something that is going to sell out within minutes and be done with. 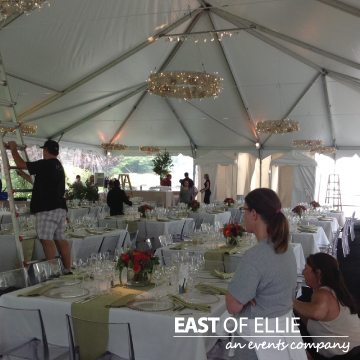 At East of Ellie, we don’t believe in throwing an event just for the sake of throwing an event. Yes, we sure love fabulous events, but ensuring that our clients have a smart, marketing based strategy for their event that is guaranteed to establish long term results is extremely important to us. We want our clients happy not only during the planning phases and on event day, but post-event as well, when their investment begins to see some reimbursement. An example of a brand that absolutely kills this concept in the fashion industry, is Victoria’s Secret with The Annual Victoria’s Secret Fashion show. An event that is truly one of a kind, runway turns consumer, with features of A-list entertainers, all while highlighting Victoria’s Secret’s new looks for the season. 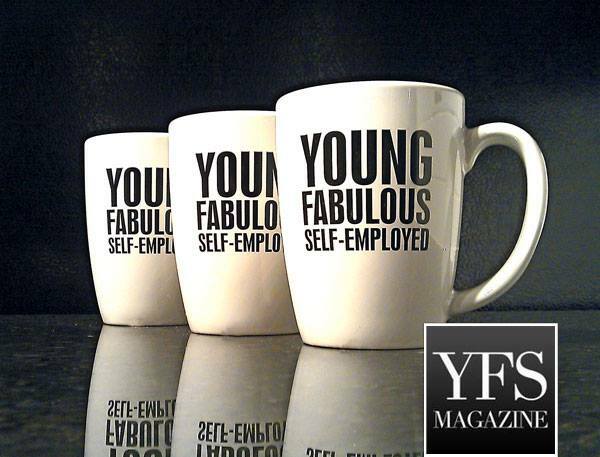 This event keeps VS relevant year after year, boosting long term results and maintaining a phenomenal brand image. 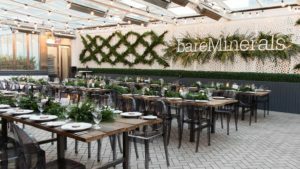 Though Lilly For Target was influential enough to stand alone without an event, we can’t forget about Target’s past events that we’re extremely effective (and we have total event envy of) such as Target + Feed, as one of many favorites. 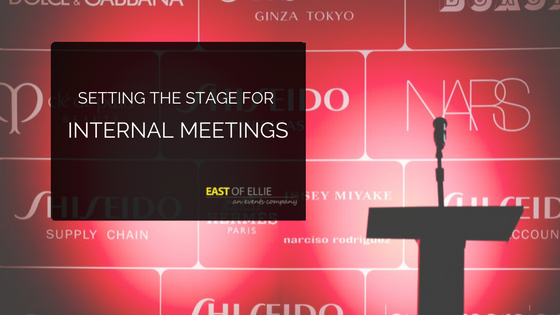 Wondering how an event fits into your marketing plan? Contact us today and let’s get planning! One of the most popular music festivals of the year started this past week in the deserts of California. We’re talking about Coachella, where thousands of young people come together for 2 weeks to celebrate music, show off their boho-style fashion, and have an overall great time. It’s no surprise that since there are thousands of people at this event festival that there are hundreds of Corporations right there with them setting up their own tents to market their brand. Inside these tents are activities and free products for the Coachella attendees. For brands that have a target demographic fitting the profile for the young people who go to Coachella, marketing at this event is absolutely genius. Here are EOE’s favorite marketing activations at Coachella. Instagram Madness: Don’t worry about your target market that didn’t attend the festival – chances are, your logo will appear somewhere in the background of their friend’s Instagram picture. Currently under the hashtag #coachella, there are 865,000 images and counting. H&M has the right idea by incorporating a photo booth in their Coachella tent. Though they won’t directly upload to the photo app, who doesn’t love Instagraming their photo booth strips? Events at an Event: That’s right, brands are hosting their own events at Coachella. Lacoste hosted a live pool party at a private estate near the festival, and yes, it included blow up alligators in the pool. 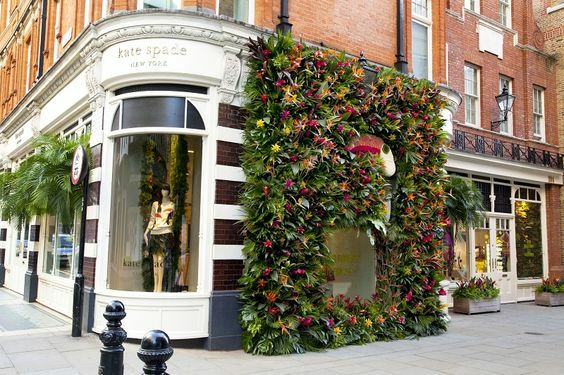 To incorporate more branding, the event included a pop-up shopping area of Lacoste products with proceeds going to the Voice Project. An event, their product, and marketing of their cause marketing efforts? Well done, Lacoste. With Kendall Jenner in attendance sipping on her Lacoste branded coconut drink seen on her Instagram (also seen by millions of her followers), we’d say this was a huge success. Haircuts and Alcohol: New Amsterdam took a completely out of the box approach when setting up their marketing station by incorporating an old-school style barber shop around their products. Guests could have their haircut or a shave for free. We’re not really following the connection to the brand but we appreciate its uniqueness and the fact that people are going to look and admire it. Some guys that have been camping out for a few days may definitely need a shave, let’s just hope the stylists haven’t had to many samples of New Amsterdam’s product before they get behind a razor! 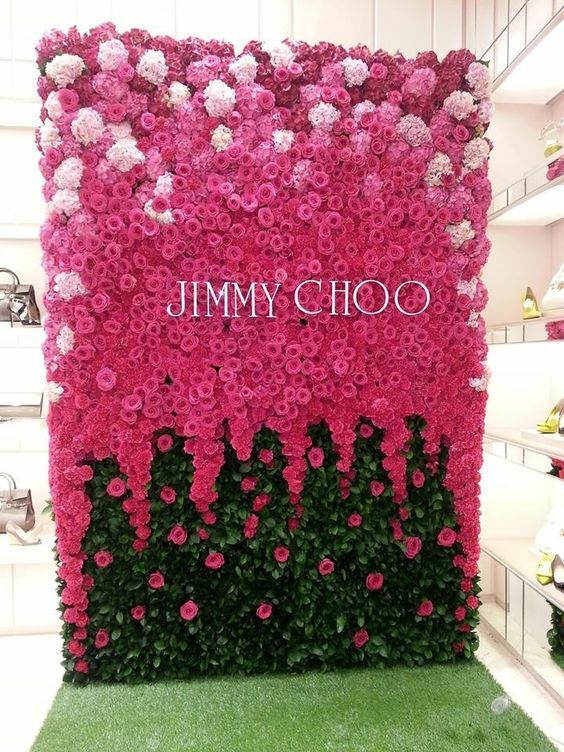 We absolutely love seeing creative branding at events and believe it’s one of the best ways to get the most positive exposure for a brand. Coachella is more than a music concert, it’s a complete experience and these Corporations delivered on contributing to that for the attendees. 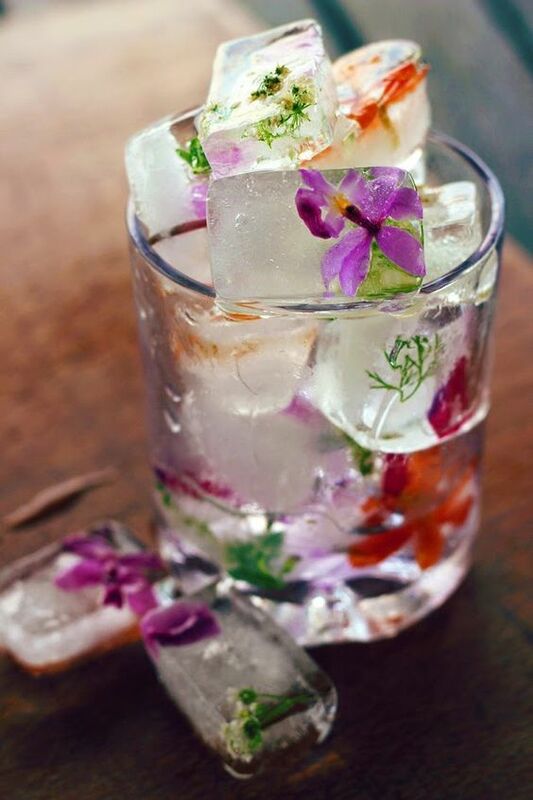 To see more branding at Coachella see our Pinterest board here. Though a Super Bowl party with lots of chips and dip sounds right up our alley, at East of Ellie we prefer a party with actual NFL players. You must be wondering; how can we pull this off? Okay, maybe we don’t see them on Super Bowl Sunday, but when NFL players get involved with philanthropy, East of Ellie is always ready to plan their event. This past April, we were proud to host a private event on behalf of the Board of Directors of the MDG Awards Committee and The Jack Brewer Foundation (JBF Worldwide) run by the former 5 year NFL veteran, Jack Brewer, to celebrate the official launch of the Millennium Development Goals Athletes and Artists Committee (MDGAAC). This event recognized the work of former and current NFL athletes Akin Ayodele, Lance Johnstone, Corey Chavous, E.J. Henderson, Ronnie Cameron, Sidney Rice, Kenderick Allen and Darrell Reid. It’s not uncommon to see NFL athletes using their wealth and celebrity to contribute to the betterment of society, and our events can keep philanthropic efforts fun and social while giving the athletes the positive exposure they deserve. We have a feeling this won’t be the last time we run into current or former NFL athletes choosing to make a change in the world. See photos from our NFL studded event here. It is an unspoken rule that when you walk into a corporate boardroom, you want be on your A game. This is especially true for non-profit organizations who are looking to pitch a partnership idea to a new corporation. We’ve decided to share some of our EOE insights and give you a guide for non-profit organizations and communicating with corporations. Keep these six communication tips in mind when starting that conversation with your target. 1. Clearly communicate your mission. It’s imperative your partnered corporation is on the same page with your mission. The corporation must also be morally rooted in alignment with your organization, or have a direct branding link to your cause. Show them the impact of what your like minded cause can do for them. 2. Who do you influence? For corporations, they need to know a target market. If you’re not aiming for consumers of their aimed demographic, chances are the partnership will not be as strong as it should be. 3. Explain what can you offer a corporate partner. Exposure? Reputation boost? Marketing at non-profit events? Communicate what you can do for them to solidify they are making an investment for their success as well as yours. 4. Can you quantify impact? Make sure to bring tangible examples of how your non-profit organization will bring success and profit to the corporation you are communicating with. Arm yourself with relevant statistics and evidence on how your influence will benefit the company. 5. Explain your current state of funding. Corporations may have the dollars, but they’re not a never-ending money pit. Ensure them that by supporting your cause they are making a sound investment with their philanthropic budget. Bring an easy to read chart about your financial state so that they feel safe about making an investment. Most importantly, non-profits need to persuade with a mission and quantitative information. Since corporations work with and understand numbers, it’s important to speak their language. Think of yourself as a brand and present yourself as such. Go in with confidence and these communication tips and leave with success! Every well-organized event should include a run sheet that outlines what should be happening during each minute of the event. Whether a speech should run from 9:01-9:23, or food should be put out from 7:35-7:46, every second should be accounted for in order to remain organized. In addition to the run sheets for an event, our social media guru Cindy keeps track of EOE’s very own run sheet during our event that took place this past weekend for Nestle Waters North America. This behind the scenes time line describes what happened at certain times during the event through the eyes of the event planning team. 11:15 a.m. Emily and Danielle told Cindy and Mallory to drop out of school to help with all events this year (this is not the first time this has happened). 11:16 a.m. The rain has stopped and the sun is out! 11:47 a.m. Rain is back…..
2:15 p.m. The sun appears to be out for good, hopefully it stays this way! 2:40 p.m. The cocktail seating is being rearranged for the 4th+ time… have a feeling it’s not going to be the last. 5:00 p.m. Cindy declares event planning to be strawesome.. Stressful and awesome. 6:40 p.m. Cindy and Mallory somehow survive shuttling guests from hotels to the venue (in their opinion one of the most stressful parts of the event). 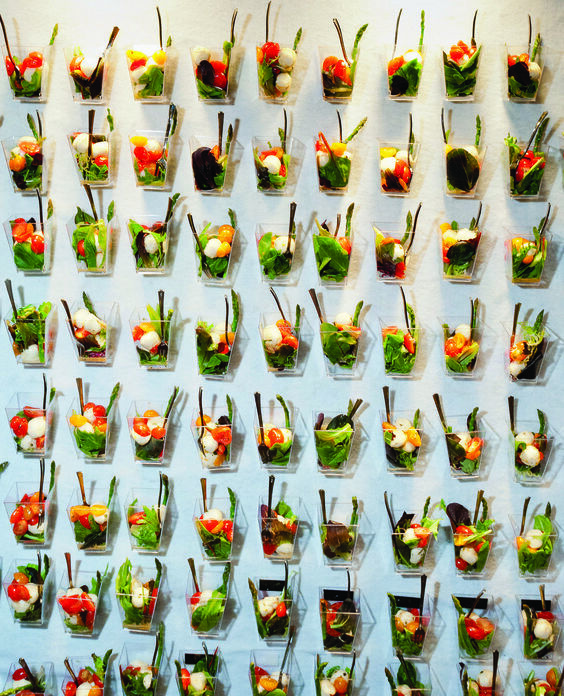 7:25 p.m. Servers are doing a great job rushing out 185 salads before guests enter the main tent! 7:30 p.m. The client’s golden retrievers escaped briefly from their designated room but still remain in the house… Mallory being the dog whisperer she is quickly cleaned up the situation. 7:58 p.m. Emily begins calling the troop of guests into the main tent. 8:19 p.m. One of the dogs escaped from the house and ran into the main tent during a speech! Luckily the crowd enjoyed it and our client made a joke about it… Phew! 9:16 p.m. We are a little behind due to emotional speeches for our client… As long as guests and clients are happy, we are too! 10:07 p.m. Danielle is crying at the speeches done by our client’s children. Who knew a 15 and 14 year old could be so confident as public speakers in a room of 185 high level employees? 10:56 p.m. There are monster sized moths in the tent, luckily they are staying high on the ceiling. 10:32 p.m. Danielle and Cindy just realized Stew Leonard, Jr. was here! Minor celebrity shock… He entered the cook tent to shake the chef’s hand and congratulate the staff on how well the food tasted. When the owner of the world’s largest dairy store compliments your food, you know you’re doing it right! 10:45 p.m. We can hear how hard it’s raining outside as the drops strike the roof of the tent, good thing we put sides on the tent as a precaution for the rain or most guests would find themselves and their table soaked at this point. 11:00 p.m. Wish it wasn’t pouring rain as the guests are leaving to their cars or to the hotel shuttles, but the valet staff is doing a great job by putting the guests needs first with umbrella coverage. Love being prepared in situations like this! 12:30 a.m. Emily and Danielle were apparently kissed on the lips by an important stakeholder in the process of planning this event. I assume this means she was pleased to say the least. Having your own event planning run sheet can be very helpful on the review of how successful your event was, bring back laughs, and evaluate what changes can be made for the next event. Our event was very successful and our clients were extremely pleased with how everything turned out, but we will definitely ensure no golden retrievers will be running into our next event! Exposure. It describes what all small businesses, want, need, and should always be on the hunt to achieve. Depending on your industry, there are various strategies available to expose your brand to the public and prospective consumers. Typically, small businesses turn to paid advertising and social media marketing to reach audiences, but there is another effective, and often overlooked, method to gain exposure and new customers — cause marketing. Cause marketing is simply a mutually beneficial marketing partnership between a non-profit and a for-profit business. A successful cause marketing partnership works together to meet the objectives of a specific campaign that is typically awareness and metrics based. Typical partnerships include a donation of money or resources to help benefit the cause the non-profit advocates. Since most small businesses are limited on funds they can donate to non-profits, there are easy ways to incorporate your product or services into donations. For example, including a percentage of proceeds from sales as a donation to a non-profit organization can increase your sales, drive awareness, and inform consumers that your core values are rooted in the betterment of society. An online study conducted by Cone Inc. and AMP Insights suggests “61% of 13 to 25 year-old’s feel personally responsible for making a difference in the world. 81% have volunteered in the past year; 69% consider a company’s social and environmental commitment when deciding where to shop, and 83% will trust a company more if it is socially [or] environmentally responsible.” The study also indicates that millennial’s are “the most socially conscious consumers to date.” So if your target market is Generation Y, developing a cause marketing campaign is absolutely essential to your company’s success. It’s likely that consumers will want to know more about your partnership with a non-profit organization and why you have established one. This gives you a new reason to interact with consumers on a personal level. Building a relationship is essential to keep consumers coming back. Non-profits are more likely to market your product or service on their behalf. Since you are helping another organization, they will market your product and company in a very positive way as their appreciation. For example, the nonprofit organization Keep a Child Alive features all of its corporate sponsors in their “About Us” section. This gives anyone interested in the cause direct access to companies involved. Working with non-profits can create authentic brand advocates for your company. In addition to customer loyalty, your company’s advocates are more likely to spread your cause marketing efforts through word of mouth, which in turn creates reputable exposure for your business. In the movie The Sound of Music Julie Andrews sings all about her favorite things. At EOE we share the same feelings that Julie Andrew does, but they are for our tools and technology that we use everyday. We took a few steps back to identify the five things event planners like us cannot live without. Check out our favorites, you never know what new work tips you can learn from our small business. 1. 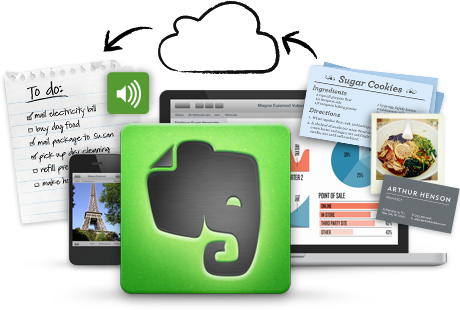 Evernote: Evernote is critical to EOE. All conversations and team meetings revolve around what we input into Evernote. For those of you who don’t know, Evernote is an online system that lets you keep track of all notes, documents, images, pictures, etc in one central location. You can sign into Evernote via their app or website and can be accessed anywhere at the touch of a bottom. 2. Starbucks: Now I know this seems obvious, but Starbucks is much more to the EOE team than caffeinated refreshment. Our daily trip to Starbucks allows us to take a walk together, get some fresh air, and reset our minds. It’s a great “mental moment” as our #Tweetles like to say. 3. Sharpies: Oh the magical Sharpie. This is something that Emily has been obsessing over since she was just a little girl. We have every color imaginable in our office. We use them to mark up documents, write stickies, add quotes to our ever growing quote board, and so much more. 4. Bertha, the Laminator: Our laminator, or as we affectionately call, Bertha, is the pride and joy of the office supply closet. Believe it or not, she gets us out of some sticky event situations time and time again. We use it for badges, tickets and signage. It’s great asset when you are under the wire and don’t have the time for an emergency run to Kinkos. 5. 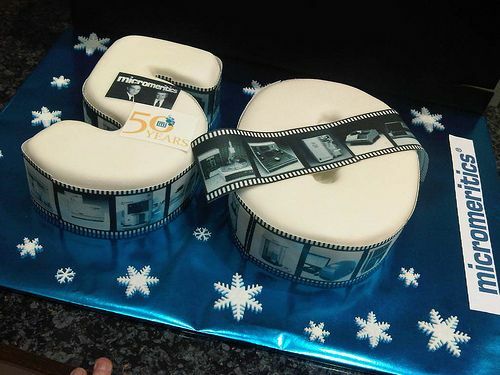 Adobe CS5: Last but certainly not least, we have Danielle’s favorite, CS5. Photoshop and Illustrator are used daily at the EOE offices to create renderings and diagrams of our events. 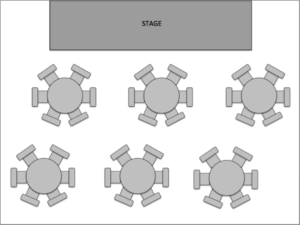 It’s a great way to help your clients visualize the ideas you have for their event. We also use it to produce collateral needs for our clients. Oh, and we like to play jazz while we use it. 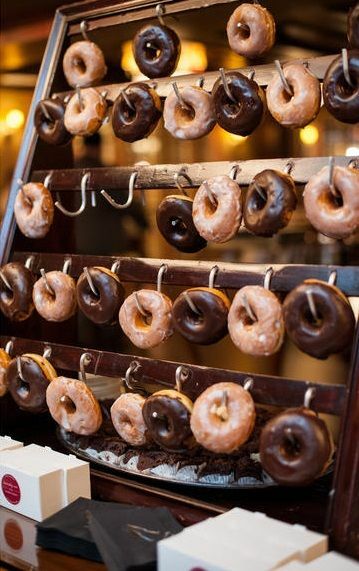 Check out our Pinterest Board to see more of our favorite event planning things that we could just not live without. 8.8 is the average number of hours worked per day by an American aged 25 to 54*. We all know that our job consumes more than half of our day, and it can sometimes seem like all we do is eat sleep and work. But what if more and more companies started creating an enjoyable workplace that made every day seem like you were just living instead of “going to work”? We’re talking about something we like to call company-culture. Companies are beginning to introduce a more enjoyable work environment for its employees that in turn increase their productivity and positive attitude. Employees that take a short break to refuel their minds with a ping pong game, enjoying a free snack, or our personal favorite at EOE, sending ridiculous Snapchats to each other, it will pay off for your company in the long run. 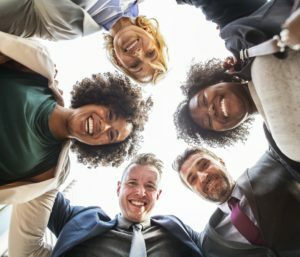 Featuring this fun company culture on your website and through social media will engage your audience and make them feel connected to people, not just a brand name. Elements such as fun interviews, candid pictures, or specific quotes that inspire the staff are great ways to show off what your company stands for and give clients an idea of what really goes on behind the scenes. If they can connect to your staff, they will certainly connect to your product or service. A great example of a company who is displaying company culture on their website is Sawtooth, a marketing agency out of New Jersey. From their homepage you will find an “our people” tab that leads to a page of individual photos of each employee ranging from the CEO to Account Supervisors and everything in between. Each photo is clickable and provides a few fun interview questions that put a personality to the portrait. Unusual questions such as, “What’s your favorite word?” or “Share a surprising fact about yourself,” can give prospective clients an insight of the company’s personality at first impression. 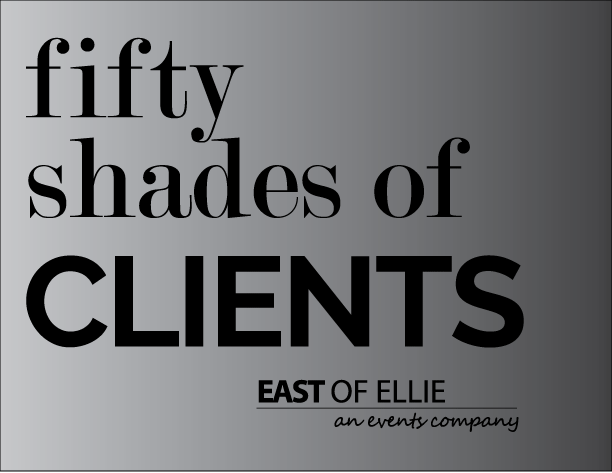 At East of Ellie, we are very proud of our companies personality and aren’t afraid to show it. We want clients to know that they will be working with genuine people that love to make their work day fun while still finishing the necessary tasks professionally. We have applied our culture to the tone of our blogs, tweets, instagrams and facebook posts. Pinterest takes our culture to a new level on our personal board, this is why we’re hot, where you can find tons of crazy pictures of our staff having fun on the job. We want our clients to know they are not just hiring an agency, they are hiring real people. Click here to see our Pinterest Board and be sure to follow us on our social media accounts to experience a daily dose of EOE.